As reported by Oregon Live (via Associated Press): Oregon lawmakers are considering raising their annual pay by nearly $20,000, a move the sponsors say will attract more diverse candidates to the statehouse. The move comes only a few weeks after a 28 percent legislative pay raise went into effect. Lawmakers were not behind that raise, and the increase was tied to collective bargaining agreements that affected nearly 40,000 state employees. Legislators now make $31,200, plus an extra $149 a day when the Legislature is in session. Burdick, a Democrat from Portland, said that the current pay isn’t a living wage and makes it more likely that retirees (What’s wrong with retirees? That sounds like an ageist statement.) or independently wealthy candidates pursue office. She noted that legislators make far less than some city and county elected officials. A recent series in The Oregonian/OregonLive highlighted ways that some lawmakers use money from campaign donors to supplement their pay, sometimes in particularly outrageous ways. 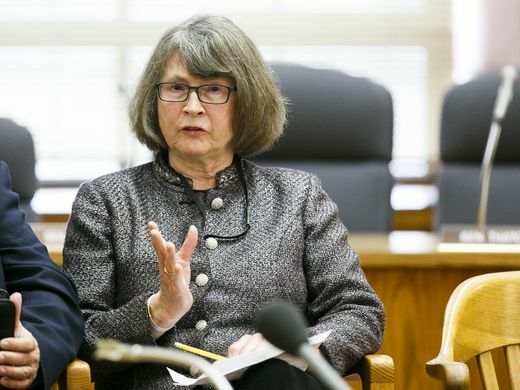 Burdick is proposing a measure that would raise wages by 63 percent, to more than $50,000 per year. That would make Oregon’s Legislature one of the highest paid in the country, compared to other statehouses with lawmakers working for a similar amount of time. But it’s unclear if the state has the money to fund a salary bump. The most recent pay raise will cost Oregon $1.6 million every two years, and the increase floated in the proposal will be much more. State budget leaders have already called for cuts across nearly all state programs and are trying to dig deep to come up with more money for schools and health care. This entry was posted in Liberals/Democrats/Left, Race, Taxes, United States and tagged ageism, diversity, Oregon, Oregon state senate. Bookmark the permalink. Yea, that will cure all that ails that place. If the people put up with this, they deserve it. Diversity – Place 4 people in a row boat with all of them rowing in different directions. Earlier intentions of diversity may have been great but today it means do whatever you want to do because no one else matters. I see it at my job where folks are worried about diversity, why not let’s do the job we were hired for and then go home to do what we want to do. They should pay them more than this to stay home. They can’t do as much damage that way. With the pay hike that’s about as much as they’d spend on them in prison. There’s an option! They don’t even bother offering a believable excuse any more, do they?